If a user creates a Wikimedia account and verifies their email address, their preferences are automatically configured to allow direct email from other users. These emails do not include links in the footer to adjust any preferences. The user may want to disable emails from a specific user, if the emails are undesired. Consider using a new message that is not customizable so local wikis cannot override the links. The link takes the user to the special page with the Mute emails from this user already checked. The user is added to the mute list once they hit save. After save, the checkbox and save button go away and a confirmation message displays:// User:ABC has been muted. See all muted users in Special:Preferences//. - the link goes to Special:Preferences on the wiki they are on. 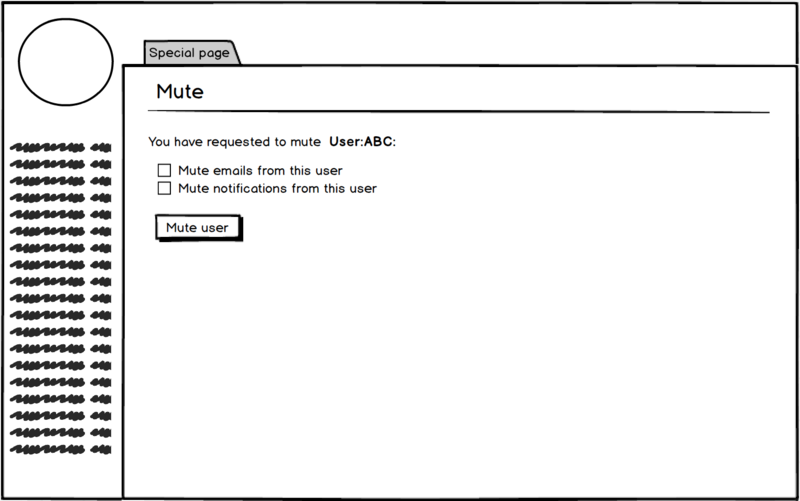 If user is logged-out, the user is taken to the login page before redirecting them to Special:Mute. Niharika set the point value for this task to 5. Niharika moved this task from Cards ready to be estimated to Cards ready for development on the Anti-Harassment board. 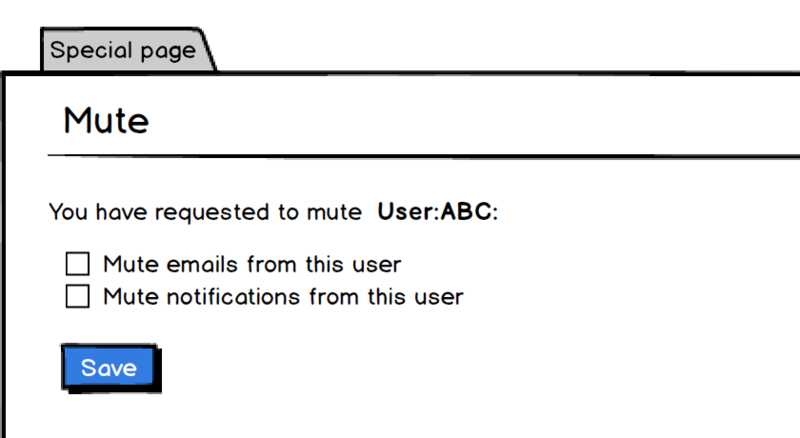 I thought it would be a good idea to allow users to mute someone from both emails and notifications in the same view. We can do this without unifying the lists. This way the user has the flexibility to mute either notifications or emails but the UX is much better. If the user comes to this from email links, we check the Mute emails from this user by default. If they come from notifications, we check Mute notifications from this user by default. I know this ticket is only about email mute. I can make another one for the mute notifications part if you all think this is a valid idea. I like that it's the same view. It lets the user do what they want to do but also gives them the opportunity to further protect themselves. Yep. We can add a user-search feature to this page in the future too if it seems useful. We can't pull the lists away from preferences because that would break global preferences compatibility. I think this data would be helpful in evaluating if we are making an impact in usability of this feature by introducing the special page.